Most of us love natural light and feel comfortable shooting with it – but how well do you really know how to utilize it effectively and to control it with precision? 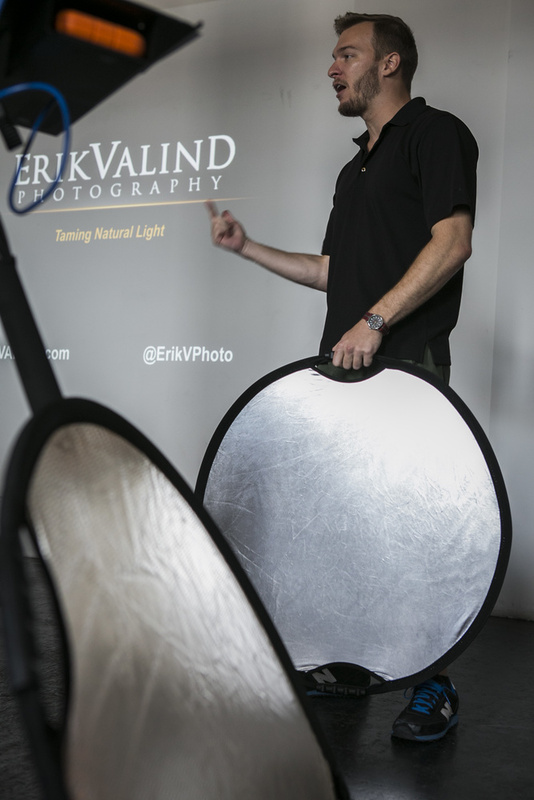 I just spent the day with Erik Valind, a New York City-based lifestyle photographer in his 'Controling Natural Light' workshop. Here are 17 simple ways to help get great results from better understanding and utliizing natural light. Erik is a commercial and lifestyle photographer based here in NYC. We worked together last year when he was shooting for a client here in the city. 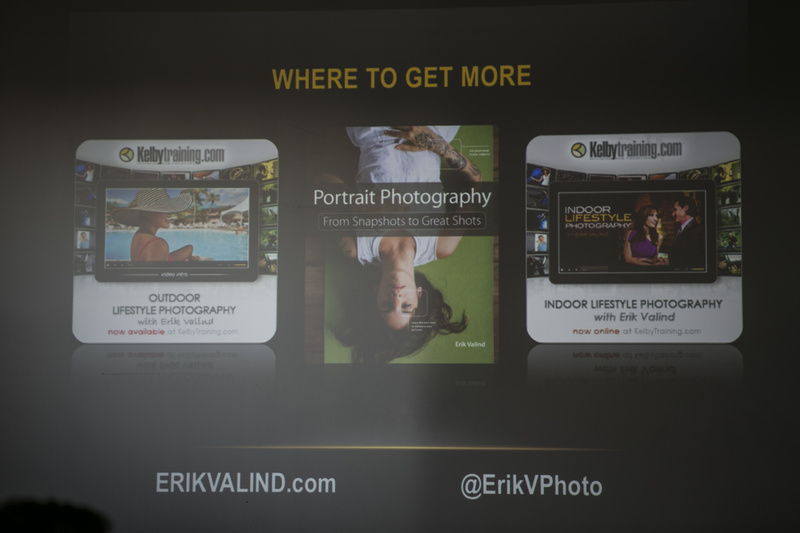 One thing I realized about Erik on that job is that he travels a lot, has a huge and diverse range of clients he shoots for and has a great and adaptable tool kit and knowledge set around having light work in his favor. He specializes in lifestyle, and what makes him great is he is just as happy and adept at shooting natural light outdoors as he is shooting speed lights or strobe indoors. He really loves working with natural light though, and the more organic feeling it provides for his clients lifestyle images. Importantly, he's also a great teacher and packed a huge amount into this one 6-hour long session. Being versatile when using only natural light is key. For Erik, it means he can travel with a lightweight array of gear and adapt fast to changing lighting conditions. 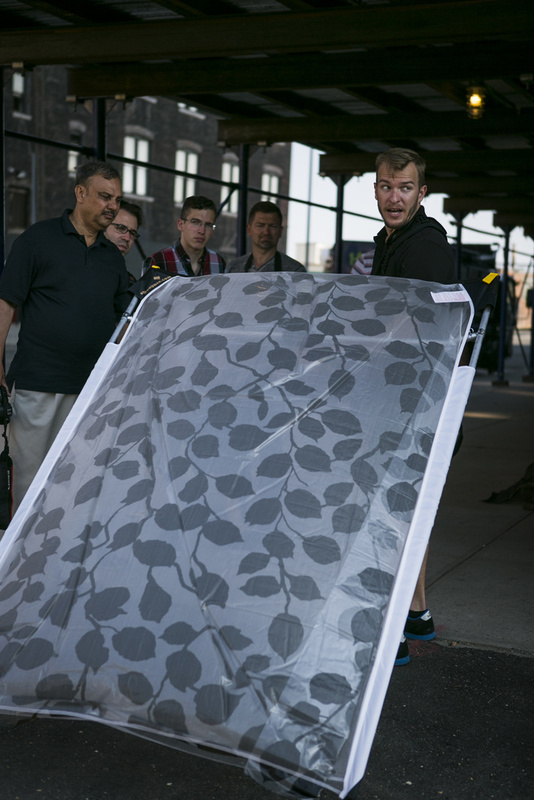 Erik uses an array of Sunbounce natural light modifiers which allow him to shoot even in the most challenging of times throughout the day (most of the workshop shooting took place between 1 and 5pm on a very bright, clear day. His three main natural light tools include reflectors, diffusion panels and black panels (to act as flags or to add contrast into a shot in place of V flats). Natural light is such a joy to shoot in. There are no max sync speeds, no strobes or electronics to damage when shooting close to (or in) water, and it allows models or subjects to move more freely (an assistant panning a reflector gives more flexibility than a subject hitting a mark for a strobe). But we don't often realize just how versatile it is, or how we can better control it. Under covered shade, don’t forget to move around your subject, or have them change their position to the natural light. 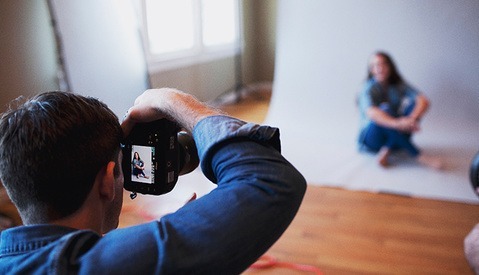 By moving around, you can create broader light with less contrast, or shorter light, with more contrast between light and dark areas, particularly useful when doing head shots. 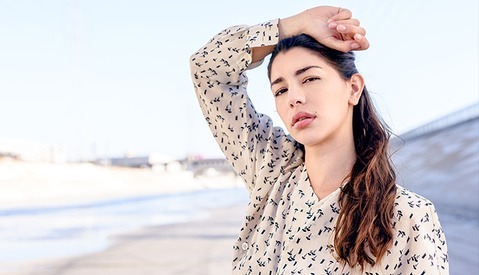 A basic way to demonstrate this effect is to hold your fist up by the light source, and rotate your arm, to simulate your subject and their face. As more of your fist rotates away from the source of light, you get shorter light, with more contrast. Here the panels have been positioned on either side of the subject for a low key look, with beautiful soft main light from the window directly in front of the subject drawing us to the face. Combine everything - remember that a natural light tools amount to more than a simple reflector to push light into a scene. 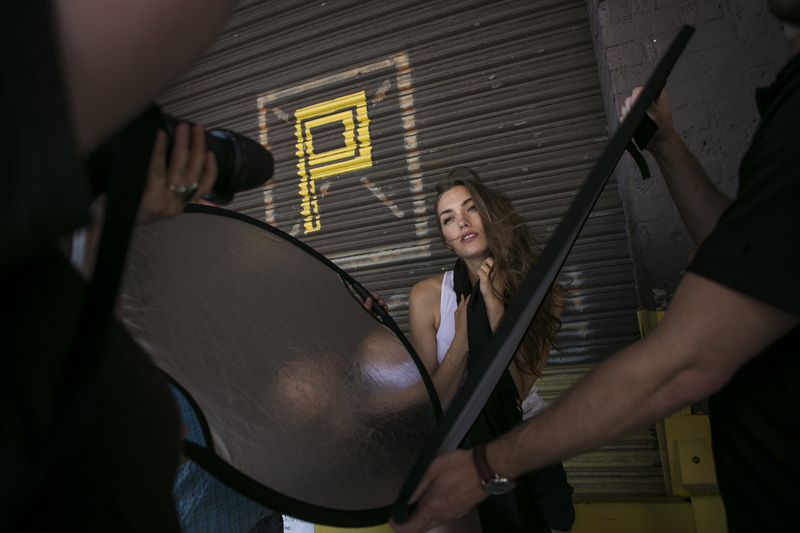 By combining simple diffusers, reflectors and black surfaces all at once you can diffuse the light falling on your subject, create a key / fill with the reflector itself and then create contrast by building in shadow for a more dramatic look using a black panel. 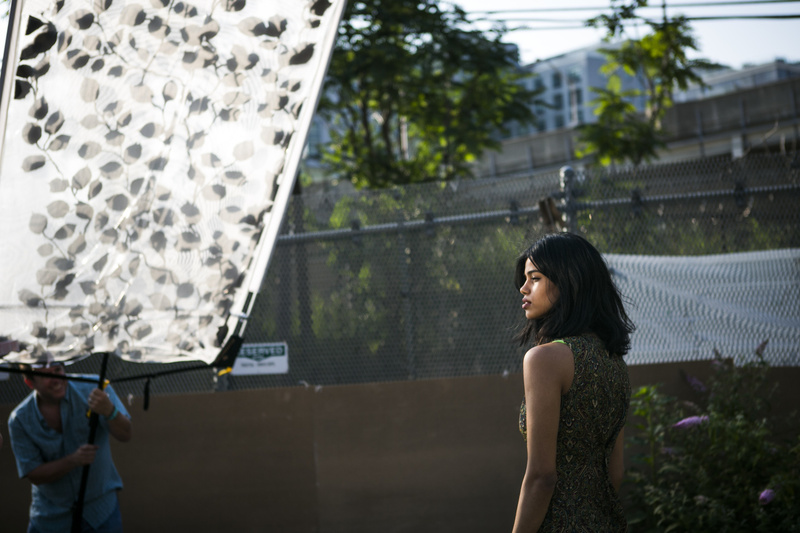 If you think of these simple natural light tools and play with them on your shoots, you’ll quickly find your ability to produce the look you want is easy to achieve, possibly without the need for additional speed light or strobe sources during daylight shoots. Thanks to Erik for sharing the knowledge. Erik is a Kelby One trainer and you can read more of his work on controlling light for portraits in his book, “Portrait Photography: From Snapshot to Great Shots”. If you like articles on natural light, or just want more of this sort of stuff, let me know in the comments and I'll work to bring more of these articles to you guys. This was a good shot in the arm for me. I need to start trying new things when I'm filming interview head-shots and this got me thinking. Sweetness. I love the concept but man....he's got like three assistants holding all that stuff. 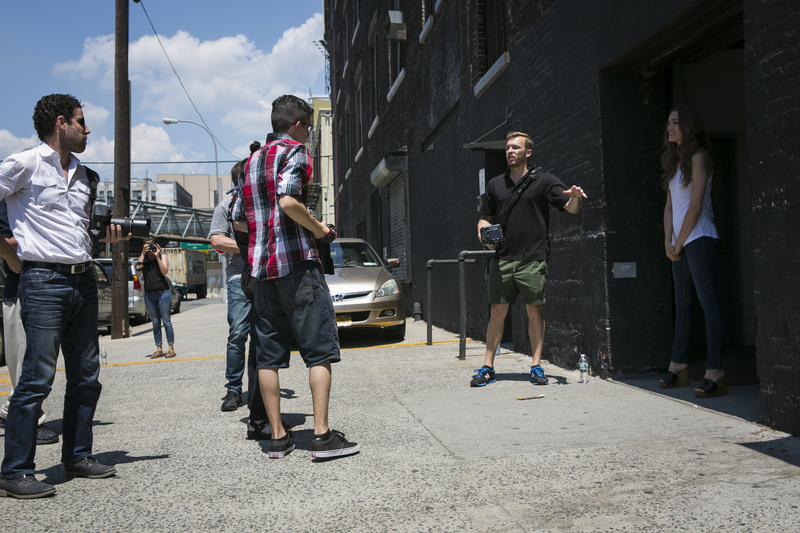 I don't know if many of us can get that many people to stand around in the hot sun all day holding reflectors. Really good point Jason! All of the "shade" techniques and concepts can be achieved without any equipment at all. Most of the reflector scenarios only require one person (an assistant, friend, family member). Then for the more intricate setups you can use grip heads to fasten the sunbounces and reflectors to standard light stands instead of using people. Thanks for the reply Erik. I think having at least one "assistant" is manageable in most scenarios and I was probably over-complicating things thinking I'm going to use 4-5 light sources as if I'm building some kind of studio strobe setup. The pictures on this article speak for themselves and I think the big win is not having to worry about sync speeds or flash power, light-stands that you have to move or any of that stuff...sounds like it would be liberating to shoot like that. Natural ligth can look real horrible. But when it's done rigth, it beats everything else. The tips are great... but most of us don't have huge crews or the desire/ability to carry around a ton of equipment. There is no doubt that Erik's photos are fantastic, but to be honest there is no way I can carry around that much stuff. The results are so nice that I'm sitting here trying to figure out what I can use in place of all that equipment and without 3 crew members. Hey Jennifer I answered this exact same concern in the comments above: "All of the "shade" techniques and concepts can be achieved without any equipment at all. 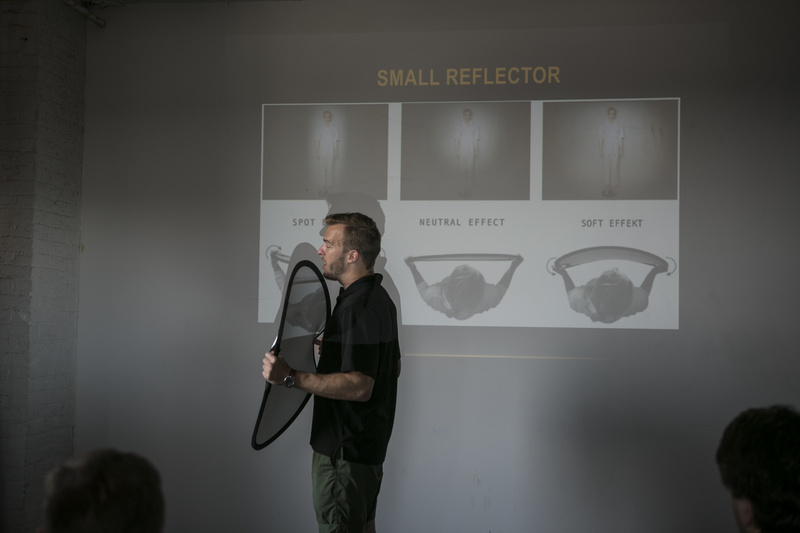 Most of the reflector scenarios only require one person (an assistant, friend, family member). Then for the more intricate setups you can use grip heads to fasten the sunbounces and reflectors to standard light stands instead of using people." On top of that everything you see in the photos, plus some, fits in an affordable Tenba bag (http://www.bhphotovideo.com/c/product/53948-REG/Tenba_634_513_T538_TriPa...) and weighs less than 30lbs... so no big crew and no tons of equipment required :) That's why I like to share my natural light approach with people. Really handy tips in the article, but I think the link to that Tenba bag takes the cake for me. I've been looking for something exactly like that for years. Thanks for the recommendation Erik! Same! Then I realized B&H keeps these in-stock and they were the perfect length for even the largest Sunbounces. any final results using the leaf-style gobo diffusion panel? Sample provided by one of the workshop attendees. Awesome post David, very informative. Hey Erik! First, your work is really good and I love the chance we have to be in direct contact with you guys! Well, I am a fan of natural light for the simple reason that it simply makes things look more natural. I'm a beginner and hope I can use natural light most of the time. Again, congrats!!! great article learned some new techniques to apply with my reflectors. Thanks Jared, appreciate that and really stoked you got something out of it you'll apply on your next natural light shoot! I attended this Workshop. Erik is a great instructor. Loved the fact that he discussed various scenarios in detail and how to concur them with or without reflectors. I ended up purchasing a mini reflector with a grip head so I can apply his technique without a friend or an assistant. Great tips. Many are complaining about not having equipment or crew. You don't need those. All you need is you. Other things are just bonuses to make your workflow faster. If you look around, you'll find a bunch of different reflecting surfaces – start collecting and exploring with them. Loved the article. Like some of the others, I have no crew nor the funds for the modifiers. However, I try not to let being a poor amateur from stopping me from obtaining the kind of images that I am after. Because of the this, choice of location and time of day have become most important to me. In addition, many DIY modifiers are easily available. I already have a 30" x 40" reflector made from foam core; one side left white while the other side is covered with strips of silver reflective Duct tape. It may not by pretty, but it works. Soon, I hope to have a large diffusion panel simply made from PVC and a frosted shower curtain. Your article had a ton of information. I look forward to trying to adapt it to my situation. Glad you liked the article Randy, thanks man. Limited resources force us to be creative and to construct things that best work for us. I actually think having limited resources is what makes us better, forcing us to be creative or to get more out of the limits of what we have. Your solution sounds like a great DIY workaround! Baam! love natural light and tweeking it like this are cool! Great article, loving the images, some amazing ideas I can use here. Anyone know where I can get the music from?? Just love the mix..